On my trip back to Virginia, this past week, one of my primary aims – besides seeing my mother for the first time in far too long – was to sample local beers. Wines and spirits, too, but primarily beers because there are simply more beers being made in the places I was going than either of the other two. The crazed, frantic, last-second plane reservations took me from Seattle to Atlanta on the eastbound leg and Chicago O’Hare coming back. I had a comfortable layover in both places and resolved to just ask for tasters of the local beers. In Atlanta, no problem. Sweetwater Brewing has an alehouse there and many of the pubs and restaurants have crafts on tap. But that layover was only an hour and fifteen minutes and I had the Pizza Jones. There just wasn’t time for any lengthy exploration. Damnit, I thought, when do I ever get to Atlanta, these days? 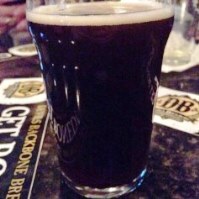 So, I resolved to play Ale Roulette: find a beer list, wait for the Vibe, and pick a pint. Doesn’t always work but it does maybe 80% of the time. 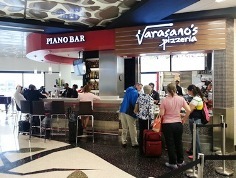 And, almost magically, right there on Concourse A, about fifty feet from where my departure gate sat, was Varasano’s Pizzeria, a handsome open-plan place with a real wood-fired oven and a roster of great-looking pizzas. I asked for the Nana with roasted chicken and then turned my attention to beer. I get feelings, sometimes, and I’ve learned to trust them. The first time I saw “Harvester Brewing” on google maps, during a trip to Portland, I just knew that James Neumeister was onto something really unique and wonderful there and I was dead-solid right. 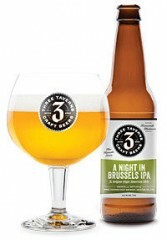 There on Varasano’s beer list was “Three Taverns Beer Co. – A Night in Brussels IPA“. Wham: instant Vibe. Loved the name, loved the whole idea of a Belgian-style IPA, at 9:10 p.m., after a long day’s flying, and really loved the fact that I had never heard a word about Three Taverns. I love Discovery. It’s what drew me to beer, wine, and spirits, back there in my college days, when dinosaurs roamed the earth, and it’s still my primary motivator, today. Given fifteen beers from breweries I know and love, I’ll still jump into The Unknown with both feet and, this time, there in Atlanta, my quivering antennae performed beautifully. Now, I DO know about Three Taverns…and I cannot wait to try more. Eight beers is not anywhere near enough of a sample size to support some sort of idea that Virginia’s craft culture is lacking but, honestly, if it were not somewhat behind the standard I find in California, Oregon, Washington, and Colorado beers, THAT is what I’d find shocking. 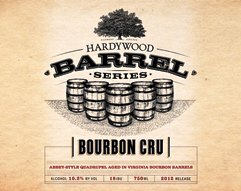 Tough Love, brutal objectivity, and simple math requires that the fact that the Western breweries have a 20+ year head start on those from a LOT of places in the rest of the US figure into any opinions one forms about Virginia or any place else. One of the ales I tasted, that I bought in a bottle at a grocery store, is considered one of Virginia’s landmark Belgian-style beers; a judgment that I found in several dozen sites on the ‘net. I tasted it and was puzzled and tasted again. I had poured my brother, who is NOT a beer geek, a small taste and, as I was struggling to grasp the stuff, he said, “Y’know what this reminds me of? It’s like a Sam Adams Pale Ale with a little bit of spice tossed in.” Well, bingo. I was over-thinking it. Dave nailed it right away. It was nowhere near what an Abbey-styled ale should taste like but that’s what the brewery claimed,. right there on the label. None of the seven were bad beers. All were drinkable and reasonably well-made. But the quality was simply miles behind the average beers in those styles that I taste from the West. Will this change? You betcha, and probably pretty quickly. The climb up the learning curve is a LOT less daunting than it was for the older breweries, a fact which you can chalk up to the amazing generosity and almost complete lack of a-holes in the American craft beer community. Brewers who ask for help and rarely turned down. In three or four years, I’ll be back to Richmond with less on my plate and more in my glass, ready to be dazzled by what Virginia has accomplished. The trip home was another story, in almost every way. I was carrying a crushing emotional load, to begin with, and no more fond of being folded into an airline seat than I’ve ever been, and was exhausted from sleeping maybe seven hours, total, in the previous five days. The 90 minute flight to Chicago semed to take a month and I could almost literally hear my joints creaking when I deplaned. I walked into O’Hare Terminal Three desperately hungry, bleary-eyed, and as ready for a beer as I have ever been. I don’t drink Budweiser, Miller, Coors, Pabst, and any of the other mass-produced Pilsners. Ever. For any reason. I have friends who admit that they’ll chug a Bud Light if it’s a hot day. If I’m hot, I’m drinking water or Diet Coke. Life really IS too short to drink crappy anything – especially beer. I walked a total of possibly two and a half miles (not kidding) in the corridors of Concourses G, H, K, and L, scanning the taps in every pub, restaurant and sports bar for a craft beer. I found ONE. At Rick Bayless’ Frontera Grill, just as I was contemplating laying down in the aisle and crying. I knew about Revolution already; had actually tasted a couple of their beers but I’m itching to get back to Chicago, my teenage hometown, to try everything on their roster. 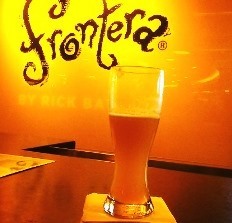 WTF is the matter with O’Hare International Airport – or any other airport or seaport or train station or sports stadium or any place where people congregate and that’s located in an active craft beer market – that all those marvelous Chicago-area breweries go almost completely unrepresented in their food venues, while nearly every tap in the place is occupied with the “same old-same old” crap from a brewery that’s not even American-owned, anymore? HOW the HELL is it in the best interests of the Chicago economy NOT to offer (rather pointedly, I think) beers from Revolution and Finch’s and Half Acre and Metropolitan and Lake Effect and Local Option and Hopothesis and Cahoots? How does it benefit Chicago to sell the wares of a shoddy, lowest-common-denominator brewglomerate like the Belgian/Brazilian AB/InBev, and see all those millions of annual dollars go straight out of their local economy and wind up in London and São Paulo? Whomever runs the concessionaires at O’Hare would do well to take their freakin’ nose out of Forbes and the Wall Street Journal for a moment and notice that, oh yeah, there is an actual, literal revolution going on in American brewing. Oh, wait, I forgot: Forbes and the WSJ both cover the craft beer phenomenon! 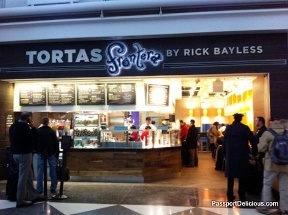 Is it possible that O’Hare hired someone to run concessions who cannot read? 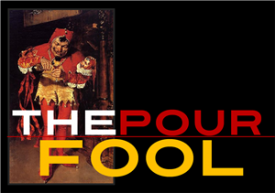 Setting aside for a moment the colossal callousness and very real appearance of pay-offs and backroom deals that such a glaring omission conjures up, not supporting Chicago’s craft beer culture is bad for business. 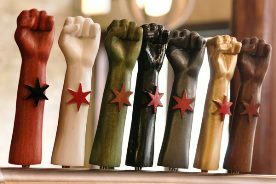 It leads beer lovers – who are approaching Red Army-scale numbers in the US – to believe that Chicago is not a great craft beer destination, something which could hardly be farther from the truth. Fewer visitors = less money. So, too, does selling cheap garbage beers generate less profit margin that crafts. Volume makes up for that, of course, and nobody is suggesting that any public facility should summarily remove BudMillerCoorsPabst. But a sensible and appealing mix wouldn’t hurt; a representation of what the city of Chicago is really all about these days. Chi-town is no longer the sole province of fat cat gangsters and union bosses and greed-ridden politicos and roving armies of Bud teamsters, passing up no chance to knee-cap an unsuspecting craft beer salesperson. 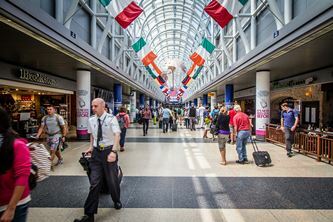 Chicago is a vibrant, explosive craft beer Scene and even seeming to suppress that fact at their major airport raises the real spectre of city officials with AB/InBev dollars lining their wallets, just for looking the other way when the local Bud distributor pays someone to kick out a craft tap. Chicago has its own history to be mindful of and, as a former resident of the place, that was my FIRST thought. FIX THIS, O’Hare Folks. It’s 2014. Wake…the $@#… UP. And, on the off-chance that someone from O’Hare or its concession management reads this, don’t even bother to respond if your defense is going to be that Goose Island Brewing has a pub at O’Hare. The jig is well and truly UP on GI and the fact that they’re now just another sad and tarnished bauble of the AB/InBev Empire. Goose was once the pride of Chicago. Now, it’s fatally compromised and carries no more legitimacy as “Chicago Craft Beer” than does the endless stream of crap-taps I saw while hiking though Terminal Three.